Cirque Mother Africa will be presented from April 19-22 at Resorts World Manila. Dancers, percussionists, singers, acrobats and contortionists will impress audiences with a unique African-themed spectacle. Having performed in sold out shows staged in Germany, Italy, Romania, Russia, Netherlands, Australia, Belgium and Spain--Cirque Mother Africa will tantalize audiences in Manila with a unique African-themed spectacle. The show is a delight for the senses with items spun through the air, bodies contorted into mind-boggling shapes, and performers balance on other performers, percussionists beat up a storm of sound and traditional dancers tell their own stories. 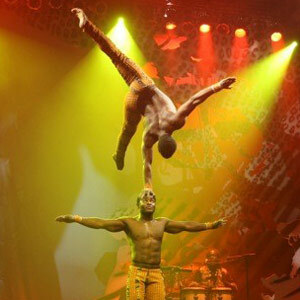 Cirque Mother Africa 2012 can be seen from April 19 to 22 at Newport Performing Arts Theater, Resorts World Manila. Tickets are available at selected National Book Stores, Robinsons Department Stores, Cinema Lobby Greenbelt 1 and Trinoma. You may also inquire at TicketWorld Office www.ticketworld.com.ph call 891-9999 for bookings & reservations.